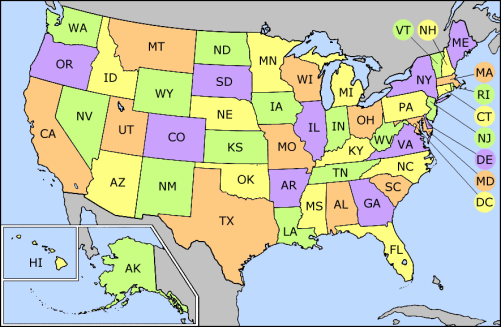 Wikimedia Commons has media related to States of the United States. This category is for states of the United States. To locate categories in a particular state, click on that state, or use the text links below. For convenience, all states in the United States should be included in this category. This includes all states that can also be found in the subcategories. Pages in category "States of the United States"
This page was last edited on 15 August 2018, at 22:24 (UTC).